“I don’t use the deep web too often,” Jamie told Patricia Hernandez from Kotaku, “but a month or two ago a subscriber sent me a link and said they found something creepy and knew that I would be interested, which I of course was.” He continued, “I did a malware check and other virus stuff on the file and it seemed OK, so I just shot ahead with it.” Conveniently for us, Jamie decided to record a few videos of himself playing the odd game and they are currently located on the Obscure Horror Corner channel (links are located at bottom of article). 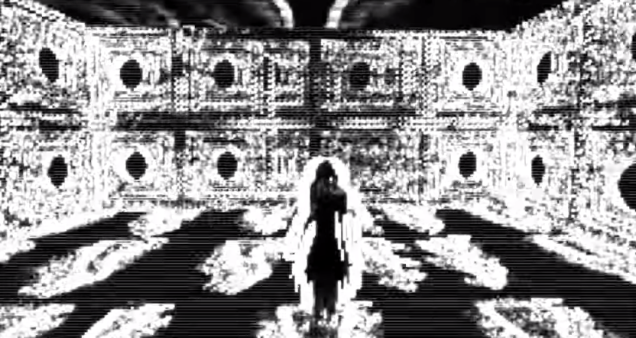 As for the game itself, it is fairly low-resolution but entertaining and creepy, to say the least! The player is forced to wander dynamic mazes of hallways complete with doors and passageways that tend to shape-shift into each other. Throughout the walking journey, the player will hear various grumbling, crying (of children), screaming, and other disturbing noises such as dialogues being slowed down or played in reverse (even Zeppelin’s Stairway to Heaven in reverse and a Charles Manson monologue). 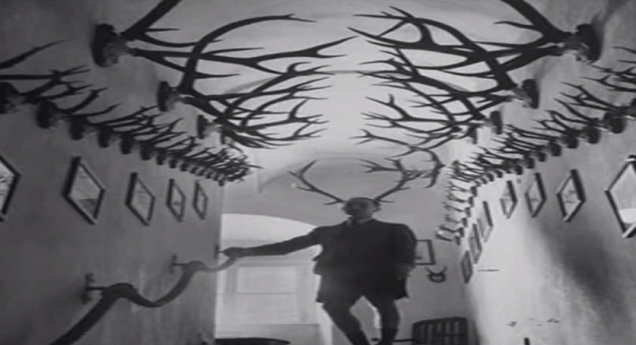 While some might think “Sad Satan” is merely a jumble of messy horror techniques, some praise should be given for the game’s context. The game’s odd noises and confusing labyrinth-style area come packaged with various screens and visuals that are only shown for a brief moment. Not to mention, the environment makes the player wonder if the character in the game they control is disoriented or hallucinating. While plenty of images are flashed onto the screen for the player to take notice of, one theme seems to stick out in my mind: child abuse. Between the moaning, crying, and screaming of what sounds to be children, there are even child-like NPC’s in the maze with you as well. One of the most interesting references involves a still-image flashed on the screen of Jimmy Savile and Margaret Thatcher promoting the The NSPCC (National Society for the Prevention of Cruelty to Children). One can only notice the irony here as Jimmy Savile was accused of multiple child sexual assaults and some of his dialogues can be heard within the game. When asked if he knew anything about ZK, the subscriber did not seem to know much at all. “I have seen other posts signed off with ZK, mostly comments, which were very odd,” he said. “Some of the stuff ZK posted before was pretty weird—dark views, satanic mumbo jumbo. Whether its nefarious or all in good fun, I can’t really say,” According to Kotaku, the only reason why the subscriber did not run the game himself was because he could not get it to work on his computer. 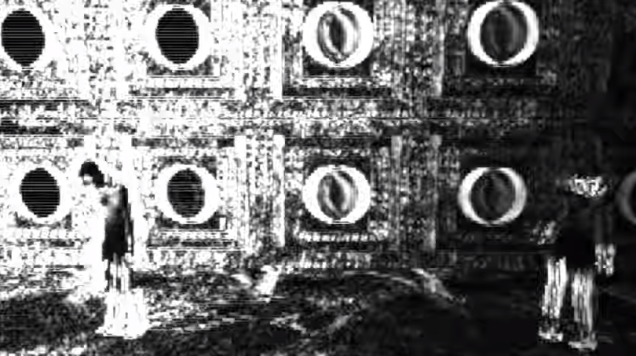 Interestingly enough, within the game there are various short coded messages that are flashed onto the player’s screen whilst exploring the mazes. 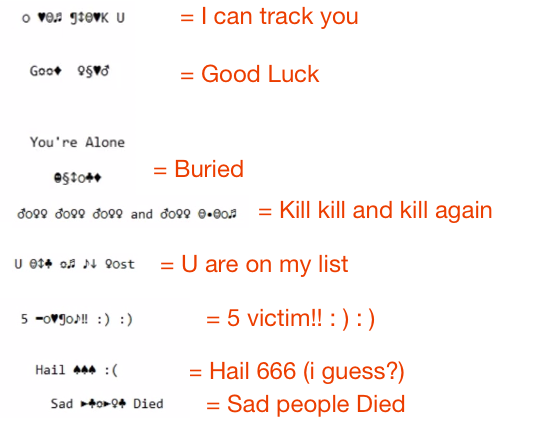 Some of these messages have been decoded by one user on Reddit (refer to picture below). Seeing as the phrase, “I can track you,” does not settle too well in the stomach for most people, one can only wonder if there was anything malicious going on with the game itself. Perhaps “Sad Satan” is merely some unfinished gaming or software project. On the other hand, it could have a much more insidious agenda. Either way, I feel like I would like to give the game a whirl, but it is unknown if there is even a working download link anywhere for it. So, if anyone wishes to dive into the depths of the Deep Web (to the depths of Hell that is), let’s gear up and go find ourselves a scary game! (do so responsibly). Zelkaar, Ultra Pikey, Krokodil and 21 others like this.